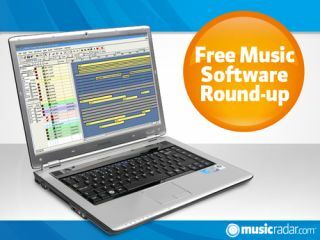 Not even the end-of-year holiday season could stem the flow of new free music software - 2010 kicks off with another three releases. As usual, there are a couple of effect plug-ins, but perhaps more noteworthy is the first official release of a new Linux-based sequencer. This custard-coloured plug-in is billed as a Sequenced Morphable Equalizer, which explains the name. It's a stereo, four-part parametric EQ that syncs to song position and enables you to morph between its two states. This Linux-based MIDI/audio sequencer has apparently been in development for ten years, yet only now is it at version 1.0. Features added since v0.9 include Windows VST support, better bounce operations and audio optimisations that have resulted in lower CPU usage. A plug-in that does exactly as its name suggests: this is an old-school spectral analysis tool that replicates the hardware models that some of you may have been familiar with in the 20th century. Mind you, they didn't come with a detachable spectrum display window and weren't freely resizable, either.